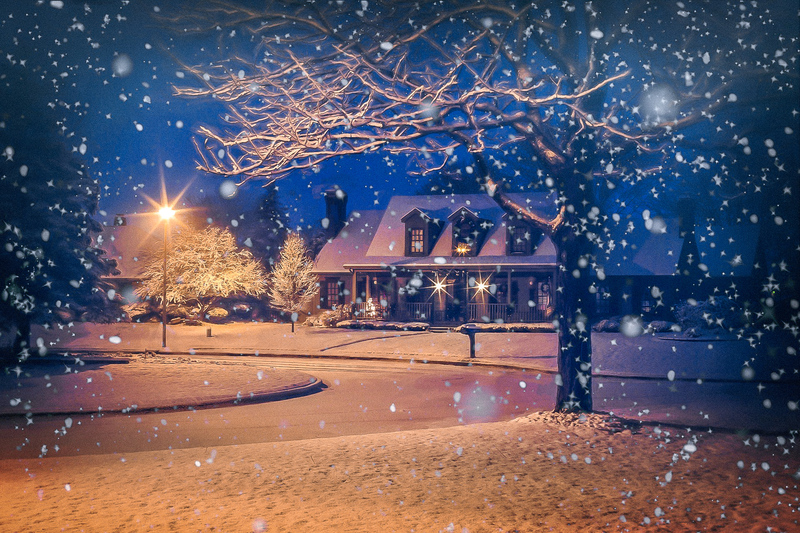 A guide on the home buying process in New Hampshire during the holiday season. The holiday season is upon us, and for most people that means organizing holiday parties, endless amounts of shopping, and cooking an unnecessarily massive quantity of food (with the help of your in-laws, of course). Though, for you, this time of year includes the bonus of searching for homes for sale in NH. Making you part of the lucky few who have the privilege of traversing the real estate market during this particularly festive time of year. This may sound like a lot to juggle, but it may actually be to your advantage, and our local real estate agents are here to help. Less Competition: After the very active and fast-paced summer we had, the market will naturally slow down during the holidays. Fewer consumers in the market means that there is less competition for home buyers. Lower Prices: Home buyers who decide to stick it out through the holiday season can potentially land themselves a deal in the slower market. In 2017, single-family homes in NH that were listed between November 1st and December 31st sold for 11% less than the 2017 yearly average. Services are More Readily Available: With the slow down in home sales during the holidays, it means that service providers (lenders, home inspectors, etc.) are more readily available to assist you. Be Prepared: Here in New Hampshire, the winter weather can affect our efforts to see properties. Allow time to clear or defrost your car and plan for traffic, which tends to be heavier during the peak of the holidays (particularly in areas near malls, airports, and restaurants). You have undoubtedly already begun perusing homes for sale on websites like Realtor.com and Zillow (be wary of their “Zestimates”). However, before you get too attached to that gorgeous Colonial, ideally located on that 2-acre corner lot, it is essential to understand just how much you can afford. Securing a pre-approval for a home loan should be the first step you take before embarking on your journey to buying a home in NH. Getting pre-approved will not only provide you a clear picture of what your price range is, but it will also give you a leg up on the competition. Home sellers are more likely to take an offer seriously from a buyer who is pre-approved than one who is not. Always make sure to choose a reputable lender. We work with some of the best Mortgage Brokers in the business who would be more than happy to assist you during the holiday season. Our good friends at RMS Mortgage, and Movement Mortgage are here and ready to get you pre-approved, calculate closing costs and monthly payments, and make sure you start the home buying process with confidence. Though most buyers do their searching online, you should always have buyer agents on the lookout for that perfect home. Deciding on who will be your guide through the real estate market is an incredibly important decision. Always be sure to choose a licensed real estate professional who is a member of the National Association of Realtors®. There are higher expectations and guidelines required of those who’ve earned the title Realtor®, as well as exclusive access to the Multiple Listings Service. A responsive and committed agent will always give you the time you deserve, even during this hectic time of year. A lot of real estate agents will take the holidays off or become less available. We at RE/MAX Innovative Properties are prepared to work with you through the holiday season and beyond. This gives our clients and us an advantage, as we have a better understanding of the nuances and fluctuations of the holiday real estate market. It’s important to have an open mind when viewing homes. If the sellers are celebrating the holidays, their homes may appear more cluttered with the trappings of holiday decor, including the iconic Christmas Tree. It is very possible you will view the space in a different light, perhaps it seems smaller than you imagined or hoped. Don’t overlook that all those items which are consuming space will not be there on an ongoing basis. Depending on the home’s floor plan, the sellers may have had to re-arrange or displace certain pieces of furniture in order to accommodate what they consider necessary in commemorating the holidays. This time of year may impact a Seller’s flexibility regarding the closing time frame, whether that may mean a quick closing beforehand, or waiting until after the holiday. Be sure you discuss with your lender what, if any, impact an early or later close might have on your financing. Having the opportunity to see a home during the winter months can give you some real insight into any unseen issues that may be going on. Roof leaks, water in the basement, structural issues and many other concerns tend to reveal themselves when the snow starts to fly. Whether or not the winter season helps shine a light on any potential problems, it is recommended to have a home inspection done to ensure everything checks out okay. Shopping for a home during the holidays is a big undertaking, be sure you can commit the time, effort and energy to the process. The reward can be beyond your imagination, as this time of year is all about family, and nothing represents that better than being able to find your forever home.